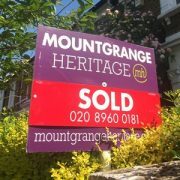 The pitfalls of using online estate agents - Should I use an online agent? Online estate agents have been making headlines recently with many promising to save property sellers thousands of pounds compared to using a traditional agent. 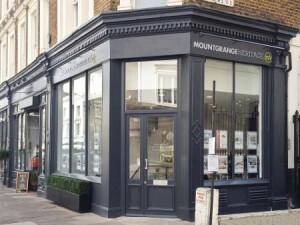 An online agent is unlikely to negotiate hard to get you the best price because they will work on volume. They also lack the intimate local market knowledge that can be used to persuade a buyer to dig that bit deeper, such as improvements in the local area infrastructure that are likely to affect future prices. Buyers also realise that the seller is not paying an agent and tend to use this to their advantage so it is often the buyer who saves the commission, not the seller. There is good reason why most agents insist their client is not home during viewings, buyers and sellers should never meet, not in the first instance at least. When the vendor is present for a viewing a buyer will feel like they are intruding and will spend much less time in the property and therefore unlikely to pay full attention to all of its virtues. Honest and constructive viewing feedback can be essential to solving problems when things are not going to plan and this is less likely to be prevail without the presence of a third party agent. Plus of course there is the time inconvenience and practicalities of ensuring viewings can be done when the house is looking its best – i.e. when everyone is out! Much of the work that traditional estate agents do happens behind the scenes. Good agents pull the strings and hold deals together by regularly communicating with the solicitors for both parties and keeping lines of communication open so everyone knows what’s going on. Professionals will speak to other professionals but not to members of the general public. An online seller cannot call a buyers lawyer to push along negotiations, only a property professional can do that. Deals can go sideways when solicitors and vital paperwork isn’t chased up, it’s all about knowing who to push and when to push, and only years of experience will teach you that. 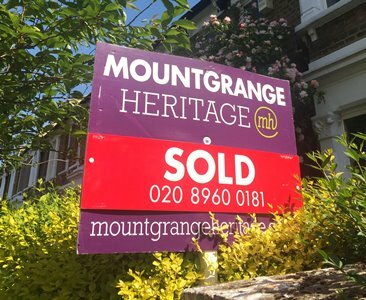 Using an online estate agent only gets you reactive enquiries via property portals like Rightmove and Zoopla, plus of course “For Sale” boards are banned in most parts of central London so they can’t rely on those either. By not using a proper agent you won’t get any local press exposure, social media reach and most importantly local office presence. Lots of buyers still walk in to our offices and there are numerous instances where we cross-sell across offices and locations. This is a famous phrase in the industry, but don’t take it at face value! One major consideration is the way buyers behave, and this is something that experienced agents drill in to their staff from the off. The buying process is a journey and buyers often don’t know what they want until they have been shown it. 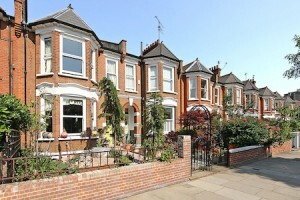 When a buyer states they only have £600,000 to spend it often means they have £800,000. And when they state they MUST have two bedrooms, they will often buy a property with one. The buying process is all about choice, compromise and opportunity and it is the job of an agent to decipher this, challenge them through experiences and lead them to the right property. Online agents simply can’t do this and it will probably be their biggest downfall. 6. Who is there for you when things go wrong? Property deals can take months and get very complicated, technical and emotionally charged, especially if there is a chain involved. A traditional agent will be talking to the other agents up and down the chain and have a holistic view of everything involved in your deal. They will be able to advise you on the best course of action if surprises come along e.g if part of the chain is delayed or your buyer stops communicating. In many ways the role of an agent is to mediate, moderate and mentor all of the different personalities, pressures and expectations through a complex process. Ironically the advent of online agents is likely to bring in to focus the real value of traditional agents as online sellers will be exposed to the full extent of workload and diplomatic expertise that professional agents perform day in day out.